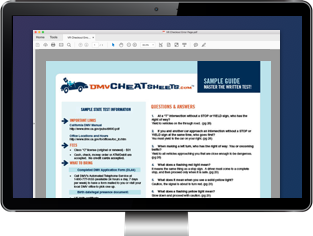 The Maryland Motor Vehicle Administration (MVA) posts just about every document you need to do business with the state online. This gives you a jump on what you want to accomplish since you can simply download and print out a copy of what you need and fill it out prior to heading to an MVA office. It is always a plus when you can cut a few minutes out of time spent at the MVA. The only thing you need to access these forms is Adobe Reader software, which can be downloaded at no charge if you don't already have it on your computer. The forms are also available at MVA offices. Go over and fill out this agreement with your new teen driver before getting behind-the-wheel in MD. Form used to report the results of a MD driver's license applicant's vision test. Must be completed by an optometrist OR an MVA employee. If you're a U.S. government employee and temporarily living out-of-state for work, use this form to request the Maryland Motor Vehicle Administration updates your registration information. Must be signed by your employer. Apply for a MD vessel title AND/OR registration through the Department of Natural Resources. Apply for specialized AND/OR vanity MD license plates with the Motor Vehicle Administration. Renew your vessel registration with the MD Department of Natural Resources. Submit this form to the Maryland MVA to apply for a salvage certificate OR to notify the MVA that you'll retain ownership of a total loss vehicle. Mail this form to the MD Motor Vehicle Administration if your original or duplicate vehicle title never arrived. Not available online. Must be obtained in person. The MD Motor Vehicle Administration will send this form to any out-of-state lienholders for a vehicle you're trying to transfer ownership of. Request criminal records from the Maryland MVA for purposes allowed by law. The MD Motor Vehicle Administration requires you to submit this form if there's reason to believe you're operating a vehicle without the proper auto insurance. Form not available online. Must be obtained from your insurance provider. Submit this general medical exam form to the MVA when applying for your Maryland commercial driver's license. Must be completed by your doctor. The MD Motor Vehicle Administration's application for military license plates. Looking for MVA Forms in another state?